I spend my time sharing yoga and movement techniques, usually combined with music and sometimes saying inappropriate things. I run projects in various locations including a fro-yo warehouse, art museums, lofts and remote islands doing a range of things like yoga classes, workshops and retreats. I also DJ and write, and i´m based between Brighton UK and Bergen, Norway. Now and then i play records (or MP3s), sometimes alone, sometimes as Brød & Smør. I´m usually dancing in equal measure. We host silent discos too. Find them here. Many of you are here for yoga stuffs, so here´s some words about my approach to yoga. You can click on my schedule above to see if i´m lurking near you soon (non creepily). Or you can have a gander at some of my projects here. Animals. Give them to me! Especially if they´re a bit paunchy, and/or talking. Food. Particularly if it´s Caribbean. Don´t tell me what to eat/not eat. What Chilli Wants. Not linked to above. Find it on youtube. Devour in 90s nostalgia and cringy dating show formulae. It´s overtaken Millionaire Matchmaker, but even-Stevens with The Great British Bakeoff (everybody needs their “thing”). Music. Too much to mention. Some mixes and playlists scattered all over the shop. I´m on Spotify and Mixcloud on the regular though if you dabble. There´s a link to yoga playlists here. I used to do radio thingies with my radio hubster. You can wander down a musty memory lane and find some of them here (features music and loving squabbles). Tea. It´s in the blood. Coconut oil. Also in the blood. the Others. Otherness in all forms. Being mixed race. Living between cultures. Challenging misconceptions. Changing perspectives. Changing the menu. Tumblr. One of my other homes. Find a condensed jam of most things in this list. Yoga-movement-dance in the bathroom. In fact, yoga-movement-dance anywhere! Gordon Ramsay. Don´t ask. ok then, it´s in his delivery. Mariah (Mimi) Carey. As above. Eartha Kitt. (What a woman). Film watching and making. Fave films which are forever changing and include: Purple Rain (obvs), Eternal Sunshine of the Spotless Mind, Frida, Caché, Ex Machina, Moloch Tropical, Julie and Julia, Bad Education (2004), The Motorcycle Diaries (there´s a theme there), Fish Tank, The Interrupters, Ratatouille, everything by Mike Leigh, 90s r&b music videos…. Writing about any/all of the above. I miss you and your wonderfull yoga lesson. Iam a journalist by proffession moved to bergen last year. Iam from India and teach yoga. Iam writing my first novel which is expected to be completed within a month. I would like to get in touch with you. Advise me please. For bringing your lively, positive and open spirit to your yoga classes. For shearing your experiences in life and your knowledge. For telling your class that we are perfect just the way we are =D” I always went out of your class feeling perfect =) happy about myself… ~ in peace with myself. Dione, fab class yesterday at the Om Yoga Show in Manchester. You were brilliant just like the beautiful lighting and music. 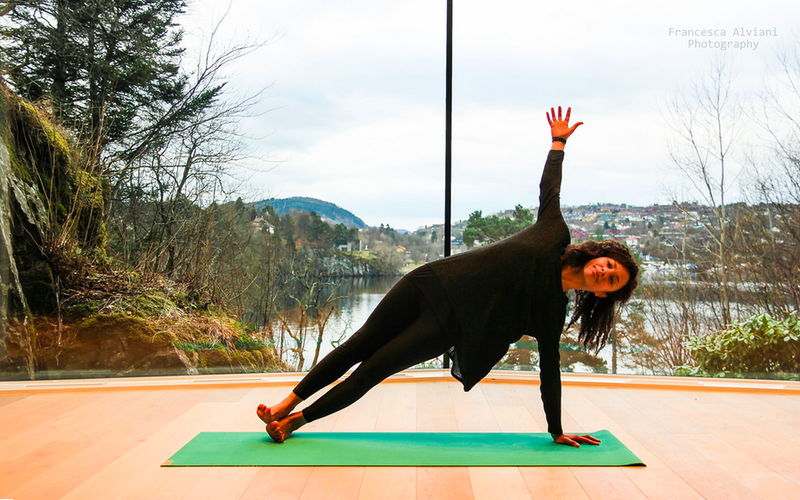 I am a student from the Netherlands but currently studying in Bergen and I love love yoga and am looking for a class to go to, could you help me possibly?